Join Albion College in a campus-wide Green Dot launch event on Wednesday, January 30 from 4-7 p.m. in Upper Baldwin. Come learn more about how you — as a student, professor or employee — can help prevent power-based violence through bystander training. There will be six educational stations set up, each introducing and defining a new concept in bystander prevention. There will be sign-ups for training and free Green Dot gear prizes to help support the cause. Albion College joined an ever-growing group of colleges set on making their living spaces safer under Green Dot, a bystander intervention program aimed at preventing dating violence, sexual violence and stalking. This program addresses the issue of unsafe situations on college campuses in a new way. Instead of treating situations as only having a potential perpetrator and victim, Green Dot gives everyone a third option: The role of a bystander. A person committing power-based violence is categorized as a red dot. These are people whose intentional actions create unsafe situations by harming someone. This bystander intervention training will provide students with skills to help recognize and intervene in harmful situations where they notice power-based violence being used. This program aims to reduce red dots by creating more active and aware green dots, or people who take extra steps to speak up and diffuse a harmful situation. Small steps and a helping hand are what create a green dot. As more students are trained with helpful skills in intervention, red dots will become green dots. What is the intervention training? Two types of training will be implemented on Albion College’s campus. One will provide a brief overview of the program’s lessons to all first-year students and to student athletics. In addition to these required trainings for student groups, a second set of training dates will be available for those interested in learning more in-depth details. The training provides students, faculty and staff with the advice and tools to become an active green dot. This program does not focus on big tasks or situations but rather the smaller actions that a person can take to help reduce power-based violence in everyday situations. The training will first introduce each individual to what a bystander’s role is. 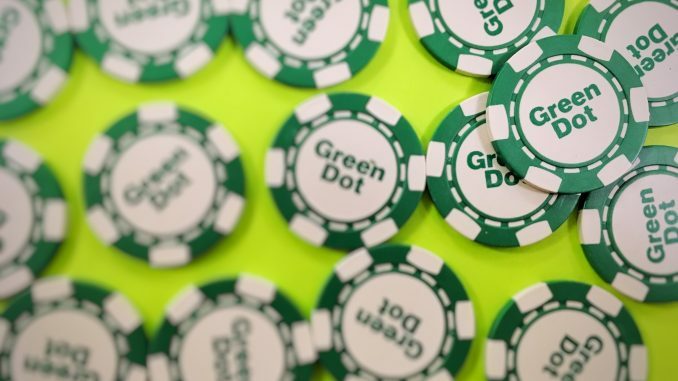 Instead of only educating trainees on the perpetrator or victim in a situation, the Green Dot program focuses on anyone else that could be present at an event or harmful situation but not directly involved. Next, in groups, and at times individually, each person will have the chance to identify barriers that would hinder their motivation to help prevent harmful situations. Barriers include personal barriers, like being too introverted or uncertain of a perceived harmful situation. Other barriers might hold a person back from intervening, like not wanting to create a worse scenario resulting in unwanted attention. While going over multiple situation examples, the training crew will provide participants with the three D’s: Direct, delegate and distract. Each choice provides multiple actions and choices to fit various situations and people so that the choice to intervene in a harmful situation is easier to stand up and do. To take direct action in preventing a harmful situation, a green dot would approach and speak directly to the perpetrator or the potential victim. Another route of prevention is to delegate the situation to someone else, such as warning a teammate, adviser or Campus Safety. The third option a bystander could take would be to distract the individuals involved. A bystander could start an unrelated conversation with the perpetrator or ask the victim to help you with a project elsewhere. As a bystander, the individual will be able to choose any of the three D’s they feel most comfortable with. Multiple forms of intervention allows more people to take small actions in harmful situations. If you are interested in signing up for Green Dot training, please contact Chris Berry for more information at cbberry@albion.edu. The author of this piece received Green Dot training through Albion College’s program.